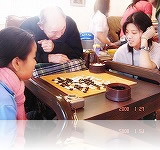 Umenoki Home is seeking care-givers, cooks, interns and volunteers. Please contact us or submit an application online today. If it is difficult for you to make periodic visits to the Umenoki Website, please sign up for our e-mail newsletters to receive all the latest information. We provide free training! Our bi-lingual RN offers a training program for all care-givers and interns to ensure that they have the knowledge and skills to provide the highest quality of care. None, we provide on the job training! Core work hours (nights and weekends are helpful). We offer both long-term and short-term internship programs. For more information, please contact us. New volunteers are always welcome. We are currently seeking volunteers who can make a difference in the lives of residents who need care and attention. The time slots most needed are 9:30 - 11:00 am and 2:00 - 4:00 pm. Activities include talking to the residents, playing the piano, cutting residents’ hair, bringing food donations, marketing outreach, reading stories, working in the Japanese garden and social events coordinator. Please click on the button below if you would like to apply for any of the opportunities, above, or if you would like more information.